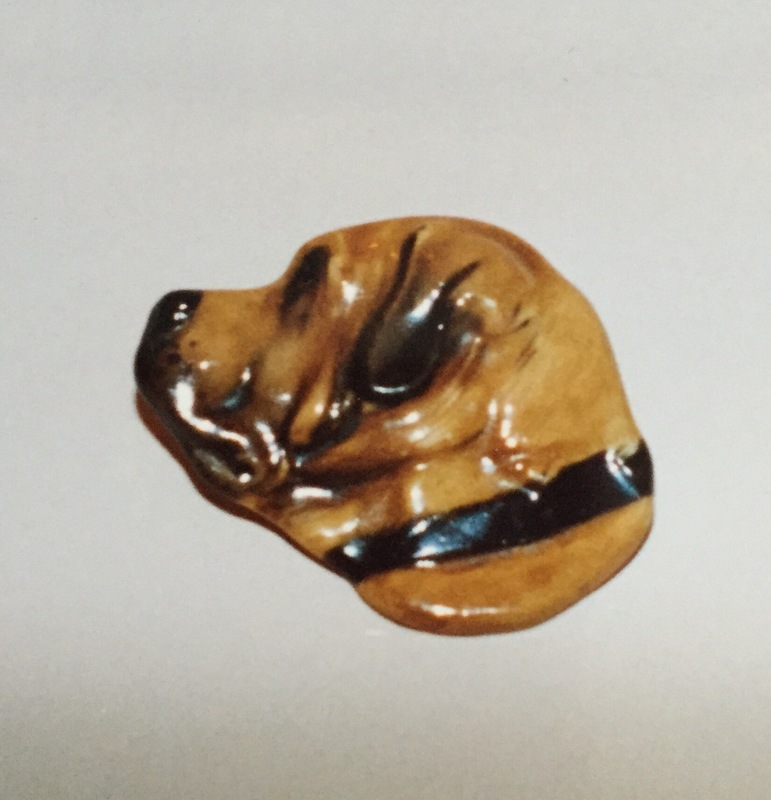 A rather bizarre aspect to Doulton animal collecting are the extremely rare range of brooches featuring dog heads, one cat and even a kingfisher to collect. Produced in the 1930’s this area of collecting Doulton animals offers great scope as there are sure to be undiscovered examples out there! 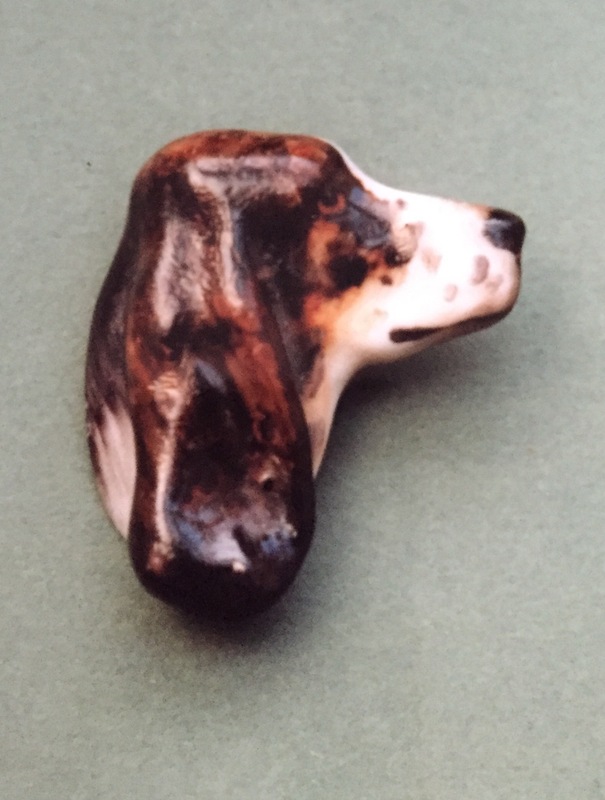 Some brooches were made in large, medium and small sizes and others including the spaniel were available in different colourings identical to the breed. 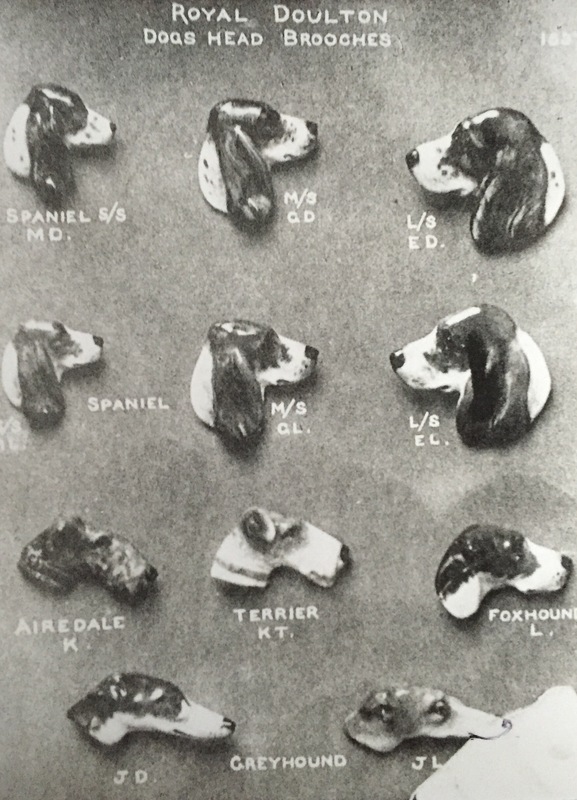 Publicity photograph featuring dogs’ head brooches. 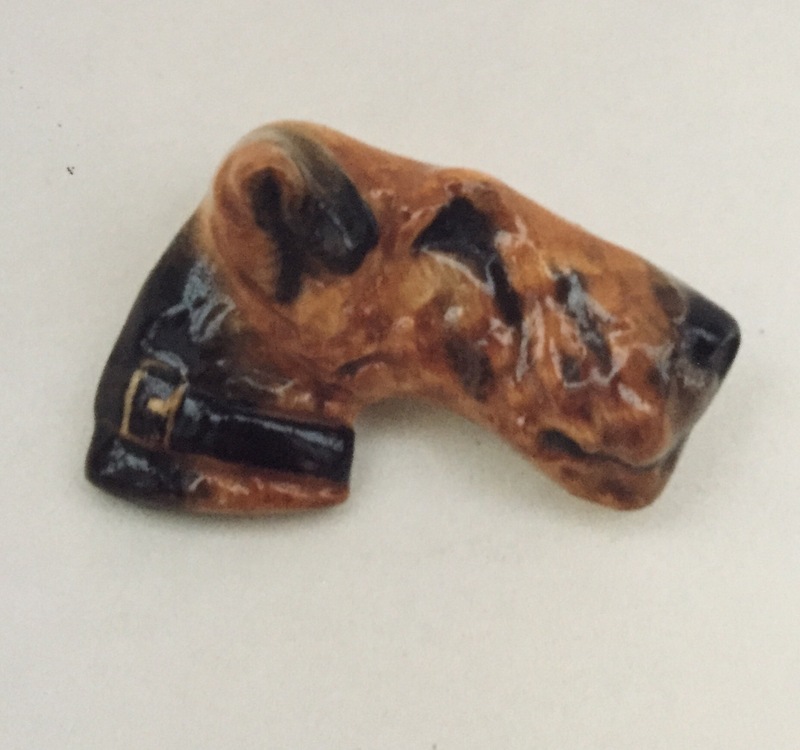 These brooches all have a dress fitting and pin to the reverse with Royal Doulton engraved. I have yet to see an example without the brass fitting to see if the pottery also bears the Doulton symbol or name! 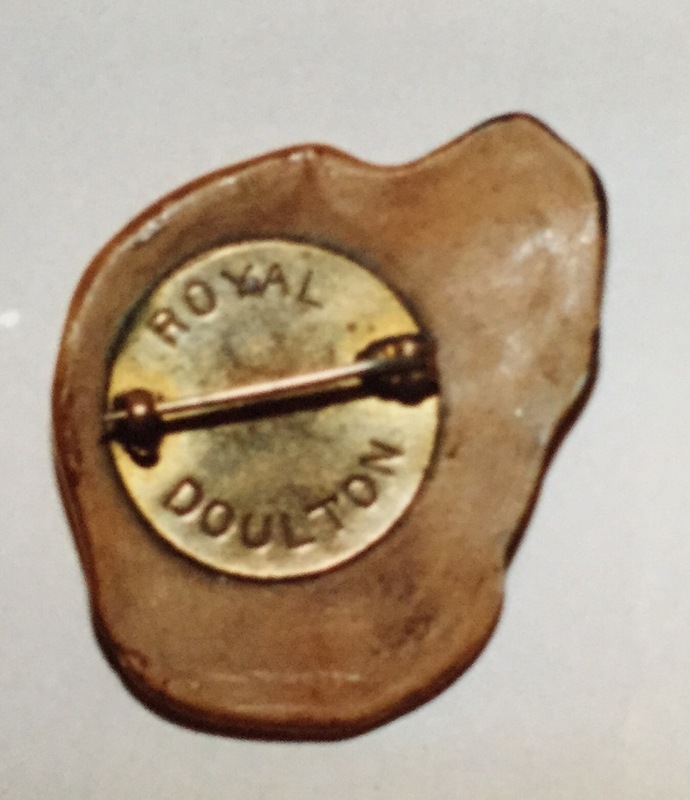 Brass fitting on the reverse.